1. Reset Challenge – The Reset Nation Challenge is going strong. So far, the U.S. participants have lost a total of 5,318 pounds. The current Reset Nation Challenge will be running through March 29, 2015. There is still time to opt-in and participate! Plus, we have lots of tools to get you going. Be sure to visit Communication Edge for all tools. The Communication Edge can be found by clicking the My Business tab on the HUB. 2. Free Starter Kits – This promotion will continue until Friday, February 6, 2015. There is still time for your new enrollments to take advantage of this incredible offer. 4. Success on the High Seas – How does spending time in the sun with your USANA team sound? Pretty good right? What if you could earn your way? Event better! The qualification period is still running for the Success on the High Seas trip. To participate you must opt in. Once you opt in—and everyone has to opt in—we will track your growth in Commission Volume Points (CVP) from July 5, 2014, to July 3, 2015. We will compare that to your CVP growth over the previous year. 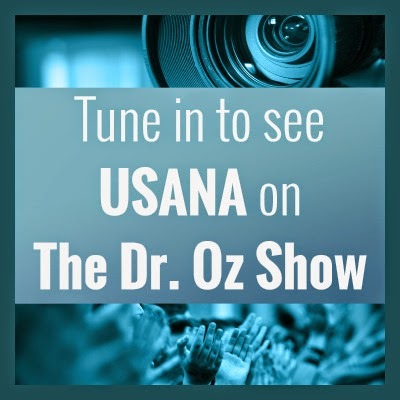 In the past week there have been many exciting developments with the announcement that USANA is a Trusted Partner and Sponsor of The Dr. Oz Show. Join us on Monday, February 2, as we walk you through the approved ways to promote this opportunity and the available tools you can leverage as you train your teams. Two of USANA’s top field leaders—Diamond Director Liz Rider and Gold Director André Gordon—will also be discussing how they will leverage The Dr. Oz Show to grow their businesses. Starting a new venture is both exciting and overwhelming. Please join us for this informative and action-oriented call designed to help you get your new Associate started in the right direction. 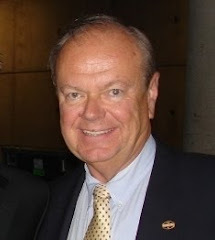 1 Star- Diamond Directors Tom and Lorie Mulhern will train attendees on the important action items a new Associate needs to complete within their first month. Tom and Lorie will utilize the Getting Started Workbook as their guide—make sure you have a copy to review for this call. A digital copy can be accessed on The Hub. 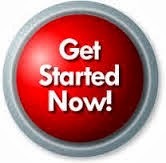 A copy is also included in all Getting Started Kits. 2. High Performance Summit – will be held Thursday and Friday April 23 & 24, 2015, It’s the perfect place for you to learn how to develop the next generation of leaders. Up and coming leaders need to achieve the rank of Gold by April 17th in order to be able to attend the High Performance Summit. 3. 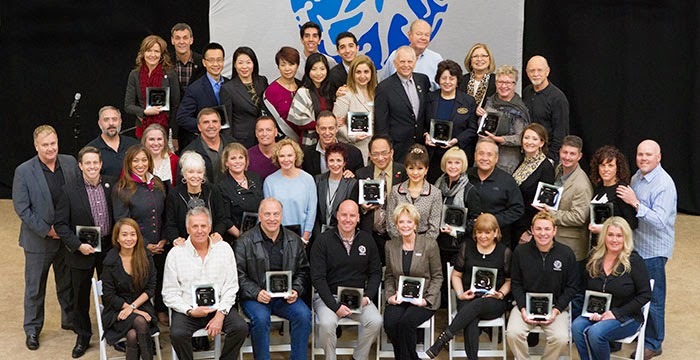 U.S. National Celebration Gala, on Friday evening April 24, 2015, you’ll have a chance to join USANA’s management team in recognizing the efforts and achievements of your local peers. It’s also a great opportunity for you to mingle with fellow Associates and forge lasting friendships. 4. U.S. National Celebration – The 2015 U.S. National Celebration brings many words to mind: training, team bonding, awards, gala, business-building tips, and incredible speakers. The Celebration will be held Saturday, April 25, 2015. Mark your calendar, and don’t miss this week of exciting events! As an independent USANA Associate, I cannot speak on behalf of USANA regarding corporate business practices and decisions. 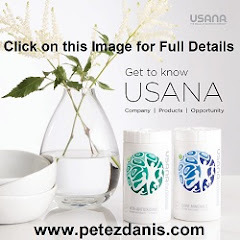 However, with Dora and I having 20 years of experience as USANA Associates, and both of us serving on USANA’s Independent Distributor Council (IDC) for nine of those years, I can share some insights which will may be helpful to you in better understanding USANA reasons for product price adjustments. .
No one likes price increases, and USANA dislikes them as much as anyone else. That I know to be a fact. However, as a going concern and publicly traded company, USANA has a fiduciary responsibility to remain profitable in order to meet its obligations to its shareholders, employees and Associates. My experience is that ALL USANA product price increases are driven by product costs, which are obviously impacted by the cost of ingredients which go in to USANA’s products. USANA does everything possible to avoid price increases, including seeking out alternate sources of product ingredients and raw materials whenever possible. 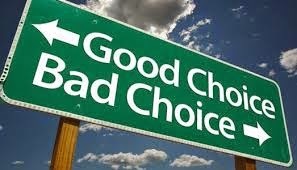 However, USANA would never do so at the risk of compromising or diminishing the purity and quality of USANA products. USANA price adjustments are infrequent, typically not more than every year or so. And, just as importantly, USANA does not make “across the board” price increases on all products at one time. 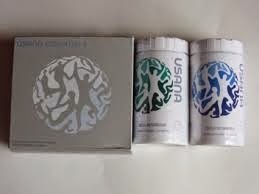 USANA only increases prices on those products on which ingredient costs have increased. And, to be clear, USANA product prices are not related in any way to a “cost of living” index, as some people believe. That would be a very arbitrary pricing policy, where, in contrast, USANA is very specific regarding establishment of its product prices. · Increase the product’s Preferred Price charged to Associates and Preferred Customers alike. · Lower the Sales Volume Point (SVP) value of the product which decreases commissions paid to Associates when a given product is sold. When deciding to adjust the Preferred Price and/or the SVP value of a product to recover cost increases, USANA carefully analyzes the total sales volume of the product, as well as which customer class (Associates or PCs) purchases what percentage of those sales. For example, if USANA needs to recover, say, $1 of a cost increase on any given product, they could simply increase the Preferred Price by $1 which would spread the cost increase evenly among Associates and PCs. However, if that product is particularly popular among PCs, passing along the price increase evenly between Associates and Preferred Customers might significantly decrease the overall sales of the product to PCs, which would also negatively impact commissions of Associates upline from those PCs. In that case, USANA may elect to increase the Preferred Price by (for example) only $.75, and decrease the SVP of the product by a certain number of Sales Volume Points. This would be less painful to PCs, and would help maintain sales volume to PCs, and lessen the overall negative impact on Associate prices and commissions. While Associates would earn lower commissions on the reduced SVP value of the products, the impact would ideally be less than potentially reduced sales to PCs due to a higher price increase to PCs. On top of all of this, USANA needs to carefully analyze the potential impact of prices of 1) different formulas of 2) different products in 3) different countries to 4) different customers in 5) different currencies. In other words, product pricing is a very complex and delicate balancing act. Having been involved in selecting some of the pricing options (in the US) in years past as an IDC member, I know that USANA does the best they can in being judicious and fair in making pricing decisions. I hope this helps everyone understand the reasons for periodic USANA product price adjustments. In December, 2014, USANA recognized Pete and Dora Zdanis, along with 40 other USANA distributorships, as Inaugural Foundation Executive Diamond Directors. This exclusive group of people was selected out of over 290,000 USANA Associates in 19 countries for their business performance and service to USANA over the years. Requirements for this honor include maintaining the rank of Diamond Director for 10 years or more, as well as earning over $100,000 per year in commissions for a minimum of 10 years. The lining of your gastrointestinal tract is the largest interface between your body and the external environment — it has even more surface area than your skin. (14) At that interface your body has three types of chemical detectors: nerve cells, endocrine cells, and immune cells. Signals from those detectors affect tissues and organs throughout your body. Bifidobacteria probiotics have long been used as dietary supplements in Japan, to achieve and maintain high levels of healthy bifidobacteria in the colon. Breastfed infants develop a simple microbial population dominated by bifidobacteria, helping the growing child to fend off multiple challenges to the immune system. (50) As we age, the numbers of bifidobacteria in our intestines drop, while less beneficial and more harmful organisms multiply. Experts now recommend high bifidobacteria levels at all ages. (50) Supplementing with bifidobacteria produces a wide range of health benefits. Bifidobacteria supplements are shown to raise protective HDL cholesterol levels in humans and animals, and lower total and LDL cholesterol levels. (37,51-53) The corresponding reduction in the ratio of LDL to HDL cholesterol represents an important reduction in cardiovascular disease risk. Bowel inflammation is a major risk for colon cancer, the third most common cancer in the world. Bifidobacteria supplementation lowers levels of a number of biological markers of colon cancer risk in patients with colitis. (68) It also blocks development of new tumors in an animal model of toxin-induced colon cancer. (28) More definitive human studies remain to be conducted, but indications are bright for bifidobacteria as potent cancer-preventing pharmabiotic agents. 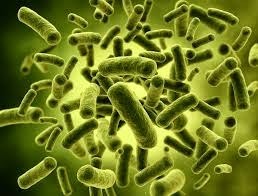 The BB536® strain of bifidobacterium logum has been shown to increase the numbers of bifidobacteria living in the colon. (69,70) That increase allows BB536® cultures to produce marked effects on intestinal, and whole body, immune responses, with potentially far-reaching impact. The influence of those around us is so powerful. Many times we don't even realize we're being strongly affected because influences generally develop over an extended period of time. Peer pressure is an especially powerful force because it is so subtle. If you're around people who spend all they make, chances are excellent that you'll spend all you make. If you are around people who don't read, chances are excellent that you won't read. People can keep nudging us off course a little at a time until, finally, we find ourselves asking, How did I get here? Those subtle influences need to be studied carefully if we really want our lives to turn out the way we've planned. 1. Who am I around? Make a mental note of the people with whom you most often associate. You've got to evaluate everybody who is able to influence you in any way. 2. What are these associations doing to me? That's a major question to ask. What have they gotten me? Where do they have me going? What do they have me thinking? How have they got me feeling? You've got to make a serious study of how others are influencing you, both negatively and positively. 3. Is that okay? Maybe everyone you associate with has been a positive, energizing influence. Then again, maybe there are some bad apples in the bunch. All I'm suggesting here is that you take a close and objective look. Everything is worth a second look, especially the power of influence. Both will take you somewhere, but only one will take you in the direction you need to go. It's easy to just dismiss the things that influence our lives. But remember, everything matters! Sure, some things matter more than others, but everything amounts to something. You've got to keep checking to find out whether your associations are tipping the scales toward the positive or toward the negative. Ignorance is never the best policy. Finding out is the best policy. It's easy to let influence shape our lives, to let associations determine our direction, to let pressures overwhelm us and to let tides take us. The big question is this: Are we letting ourselves become what we wish to become?